When you upgrade your phone, there are a couple of things that you need to think about. The type of contract deal that you have is the first thing. Next, you need to understand how you can upgrade without having to change your contact details. PAC or Porting Authorization Code allows you to move from one network to another when you upgrade, without having to change your number. You have to first get in touch with your current network provider to get your PAC. When you upgrade from a Pay Monthly contract, your number will be transferred automatically after the upgrade. If you want to move from a Pay as You go Contract to a Pay Monthly contract, you will need to obtain the PAC from your current network provider. If you are not on any contract currently, you can upgrade to Pay Monthly without the PAC. If you are only changing the device and not your contract, you will only have to change your SIM card into the new phone. You can contact your current network provider to get your PAC. Usually it takes two working days to get the PAC provided all your bills have been paid and you have cleared any disconnection fee. PAC should be obtained before you disconnect the old phone. If not you will have to change your number. PAC should be provided just when your new phone is being purchased. For online purchases, you can enter the PAC in the shopping basket. If you have already been connected to a new network, call your new number and provide the PAC to make the transfer. You just need to log into their official site and transfer the number even after your new phone has been connected. The PAC number should be provided at the time of purchase of the new phone. You can provide the PAC number in your online shopping cart. If you do not have your PAC when you make the purchase, go to the next step. In case you are changing from Orange pay monthly, the number will be transferred within 30 minutes of inserting the EE SIM into the EE device. If you are changing from Orange Pay, dial 450 from the old number for the transfer. If you are changing from T-Mobile Pay monthly or Pay as you go, send the text SWITCH to 3333 from the old device for automatic upgrade. For any other network, obtain your PAC. 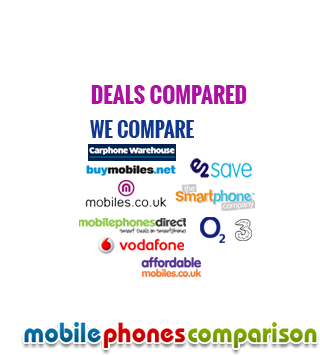 Then you can dial 150 from an EE device or call 07953966250 for the transfer. You can call the new network and provide them with the PAC after the new connection is obtained. Once the PAC is obtained, you can change the number by either logging into your iD account online or through the iD app. It is done in two working days if the PAC provided over the phone or at a store. It varies from each network provider to the other. If you do not know your current tariff, you can call the Customer Care service of the network provider or even get the details from the official website of the network provider. You can get details of your text, calling and data tariffs. How to upgrade the tariff? Tariff can be upgraded to a higher one any time. But if you want to lower it, it depends on the duration of your current tariff. You should be able to do it once all your outstanding bills have been paid. The new tariff will applied from the time of allocation of the monthly allowance. Get it touch with your network provider to get the best deals on the tariff. O2- minimum term is 6 months without any credit check. EE- minimum term is 6 months without any credit check. Vodafone- minimum term is 6 months along with a credit check. Virgin- minimum term is 1 month along with credit check. iD- minimum term is 1 month along with credit check. For those who are eligible for a Pay as you Go upgrade, you can get a good deal by simply visiting the store you want to purchase the device from. You can retain the current network and the tariffs even after the purchase of a new device. You don’t not require any added top up to activate the new phone. All the conditions of the current network provider are applicable. You can even get a regular upgrade reminder by registering with your current contract deal provider.